In a world of seemingly endless injustice, one can choose to ignore the realities or find a way to help. Kathy Norgard has spent most of her life trying to help those less fortunate or in need. It started early in her childhood. Her father was a chiropractor back when that profession was still considered voodoo or snake oil. She grew up in a suburb of the San Francisco Bay area where the mostly Mexican migrant workers populated her neighborhood. With two younger brothers in a three-bedroom, one-bath house, Kathy got a room all to herself, while her parents and the two boys slept in one room to enable the third bedroom to be used for her father’s patient visits. Their living room became the client waiting room. “They were all very glad when I left home,” Kathy laughs about her departure that opened up a room in the home. Kathy graduated from high school in 1959 without an inkling of an idea of what she was going to do. “Dad believed that girls shouldn’t go to college because they just needed to get a good man. So I left home at 17, got an apartment with a friend and a job as a receptionist while putting myself through business college in San Jose. I was a secretary who couldn’t spell. It was before computers and spell check. At 19, I got married,” she smirks about having found that good man her father expected. “We moved to San Luis Obispo and he went to Cal Poly. We lived totally off of what I earned, which was $400 a month. We had enough money, though; we bought a boat and water-skied. 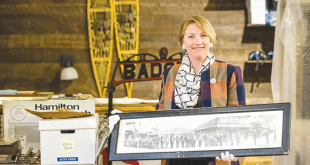 I took classes after work, again with no idea of what I wanted to study—sociology, geography—ultimately classes that would help me graduate.” After her husband completed his degree they moved to the Twin Cities of Minnesota. Kathy was still attending classes after they moved as well as being a mom to their daughter, Sonda, when she was appointed a justice of the peace. “I was a legal secretary and when the justice of the peace died they appointed me to take over his term for a couple of years. I heard traffic tickets,” Kathy says of her cases. By the time Kathy graduated from the University of Minnesota in 1970 with a degree in both psychology and sociology she had gone to 11 different colleges. In Minnesota she became active in turning her talents and compassion to helping others. “While I was at the University of Minnesota I met a group of mental health people who were doing public psychodramas in an inner city church in Minneapolis. It’s a group process of experiential therapy whereby people take different roles as a protagonist in real life stories,” she explains. Kathy noted that there were many black single mothers in the area, “It had become a ghetto around this church. My daughter was attending a Montessori pre-school and I saw what a great method this was, so a couple of us raised money for scholarships for inner city kids to be able to go to a Montessori pre-school in the summer. I ended up writing a children’s book about it, Gregory’s Day: the Montessori Way.” Kathy felt that the Montessori experience was an important factor in childhood development and she also saw inner city kids who attended the program come alive. “As a result of both of those experiences I decided that I wanted to become a social worker,” Kathy says. Before leaving Minnesota, the family adopted their son, John, who was a year and a half old and considered hard to place because of his medical issues and because of his being mixed race. Understandably, her hubby was quite tired of the snow and the harsh Minnesota winters, so he took a job in Phoenix and moved the family. Kathy received a scholarship and went back to school once again, this time for her master of social work (MSW) at Arizona State. “This was back when engineers were a dime a dozen and my husband decided to go back to school to become a shop teacher. He figured we couldn’t live on a teacher’s salary so I should get a full-time job. We moved to Tucson, and I got a job in a methadone maintenance clinic. I really questioned the efficacy of methadone,” Kathy says. She felt that methadone wasn’t a viable option because most addicts merely replaced heroin with methadone for the rest of their lives. In 1975, the couple divorced and Kathy had to suddenly learn about single parenting, and its particular difficulties with a son who had learning and social disabilities. Kathy met Don Norgard, a retired Army pilot and a colonel, and they married. “He taught aviation at a community college and I went into private practice as a psychotherapist, while going to the University of Arizona part time to complete a Ph.D. in psychology,” which she received from a distance program at Union University of Cincinnati. Kathy became involved with groups who were trying to help Mexicans avoid death in the desert heat. Because the borders were militarized and fenced, and people were desperate for work and new lives, Hispanics would go further out into dangerous and hostile desert for border crossings. “And in the summer the temperatures are 110 to 115 degrees and there’s no way they could carry enough water,” Kathy tells of the horrors of the many bodies found throughout the desert, those who failed in their quest, and regardless of whether it was an illegal crossing or not, lives were being lost. “We would leave water out. Several groups would take water into the desert, the Samaritan Patrol and No More Deaths. These Mexican families were the same families that I would work next to as a kid, Hispanic families that I played with,” she says of her connection. 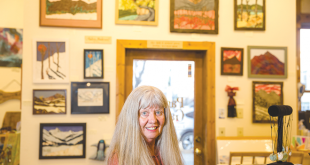 She spent 40 years in Tucson before moving full-time to Crested Butte. Her eventual relocation to Crested Butte goes back many years before, when her daughter, Sonda, had come up to Rocky Mountain Biological Labs (RMBL) as a biology student. Kathy came to visit and fell in love with the area. After Sonda married local Kevin Donovan and Ella, the first grandchild, arrived, Kathy and Don decided to be more active grandparents, at least during the summers. That was 17 years ago. Don passed away seven years ago, and in 2012 Kathy decided to give up her Tucson psychology practice and move up here full time. “The first year moving to Crested Butte full-time was a challenge because I had left really good friends and things I was involved with. It takes a while to figure out your life after big changes,” Kathy says of being widowed and a life-changing move. Two years ago, Kathy “jumped the broom” with her now husband, Bob Goettge. 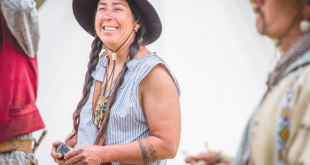 And she’s also jumped full-on into the community, directing a play with the Crested Butte Mountain Theatre, writing a 10-minute play, volunteering for Living Journeys by facilitating three cancer support groups and she’s a volunteer ski patrol for the Crested Butte Nordic Center. She also serves on the boards of the Gunnison County Library and the Public Policy Forum. She’s recently become a co-owner for Wagging Tails in Gunnison, a daycare and kennel for pooches. “Crested Butte is an amazing place. It’s a really nice, strong and welcoming community. It’s not classist and it’s not ageist,” Kathy says. 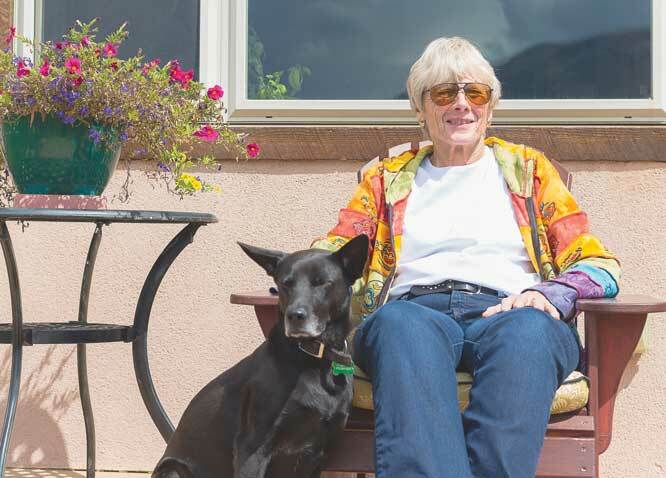 “I like to hike and it’s a wonderful place to have a dog.” Kathy shares her world with Noche, her beloved mutt, and adds, “and it’s really great to have my family nearby. It’s a wonderful place and the community is so supportive… and I do not miss the desert heat,” she smiles.